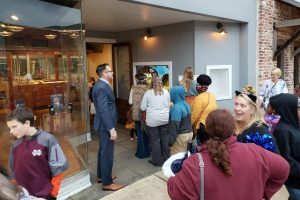 The Mississippi State University Idea Shop is about bringing concepts to reality – and ultimately into the hands of customers – all in one building. Located in a 2,000 sq.ft. retail store on Main Street in Starkville, MS, the facility houses the Turner A. Wingo Maker Studio and the MSU Retail Product Accelerator. The Idea Shop is operated by MSU’s College of Business and School of Human Sciences. The project was made possible by numerous private contributions and support by the USDA Rural Business Development program. The Idea Shop is open Wednesday–Friday 1pm–9pm, Saturday/Sunday 8am–5pm. Closed Monday and Tuesday. Membership is available to the general public. Family Discount: A family may join at the MSU Employee rate, plus $5/mo/child (ages 13 and under) and $10/mo/person (ages 14 and up). Limit 5 members. Student Groups (4 or more members) receive a 25% discount. Non-Student Groups (4 or more members) receive a 20% discount. 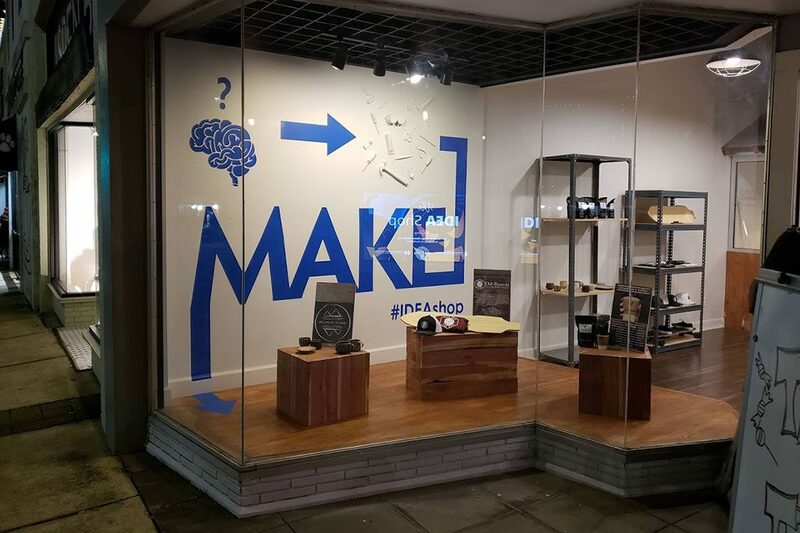 The front of the Idea Shop is a fully operational retail store, featuring products sourced from student and faculty entrepreneurs, in addition to other local community startups. This provides an outlet for very early stage entrepreneurs and makers to gain direct experience in commerce and all associated functions of retailing a product, as well as a channel to test new ideas with real, paying customers. The MSU Retail Accelerator Program is operated by the School of Human Sciences.  The MSU Idea Shop accepts applications year-round from merchants interested in placing products in a retail storefront. 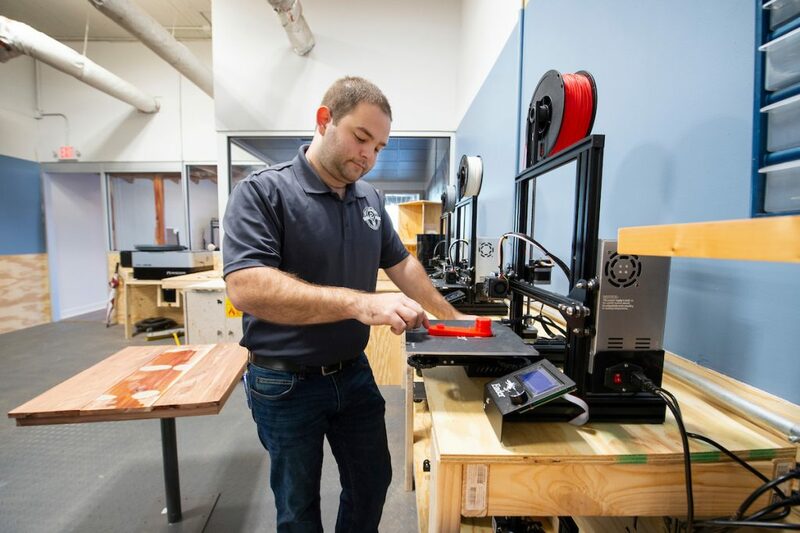 Any student, faculty, or community startup, who is the original creator or manufacturer of a good, is eligible to apply for consideration in the Idea Shop. All MSU Idea Shop products are carried and sold on consignment. 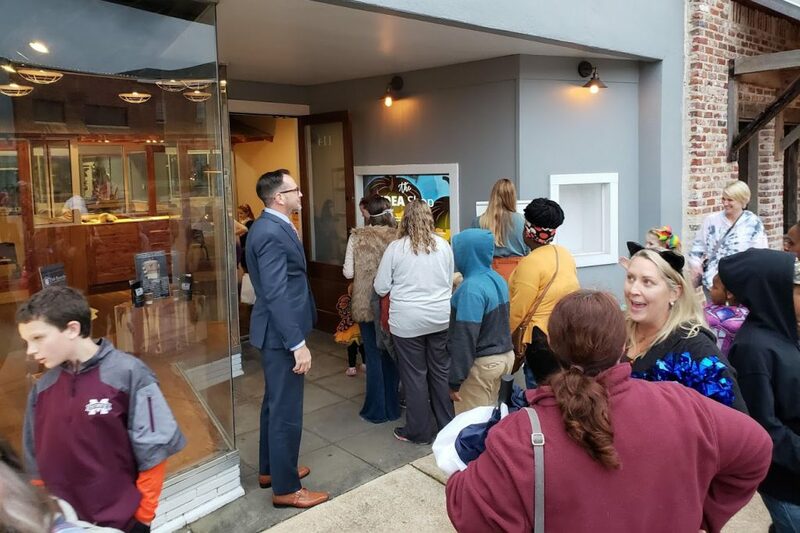 Consignment is an arrangement in which a seller (or “consignor”) sends goods to a buyer (or “consignee”) without getting payment for the goods then itself. The consignee or the buyer pays the amount only when the goods are sold, and any unsold inventory is returned. The MSU Idea Shop reserves the right to refuse any vendor or product application, for any reason. If accepted as a vendor, the relationship can be terminated by either party at any time with 14 days notice. Your products will remain your property until such time as they are sold. The MSU Idea Shop agrees to make best effort to sell your goods. The MSU Idea Shop agrees to return to you, upon demand, any unsold merchandise. The goods must be returned in the same or similar condition, unless this is impossible due to shopper damage or theft. The MSU Idea Shop, at it’s discretion, may opt to return unsold goods to you at any time. The MSU Idea Shop agrees to sell the goods at the agreed price points and markdowns. The MSU Idea Shop agrees that all proceeds due, will be paid on a rolling quarterly basis. Under no circumstances can MSU carry products or support any business that is (or otherwise perceived to be): (a) based in a foreign country; (b) engaging in any activity that is illegal under federal and/or state law; (c) lewd or sexual in nature; (d) promoting violence or drug use; (e) gambling; (f) multi-level marketing. You affirm that your business is in compliance with all local, state, and federal tax laws and license requirements and that your business will maintain compliance with all appropriate tax and business compliance guidelines as set forth by the appropriate jurisdictions.